VIII, 519 p., 17,8 x 24,5 cm. The philosophy of the Socinians, Gottfried Wilhelm Leibniz once claimed, brought about a fundamental change in Early Modern Philosophy. Nevertheless, the history of Philosophy has rarely given the Socinians the attention they deserve. The present study reconstructs their philosophy for the first time and interprets it as a deeply rooted branch of Renaissance Aristotelianism. It tracks the effects on philosophers like John Locke, Leibniz and John Toland. The study contains two parts. 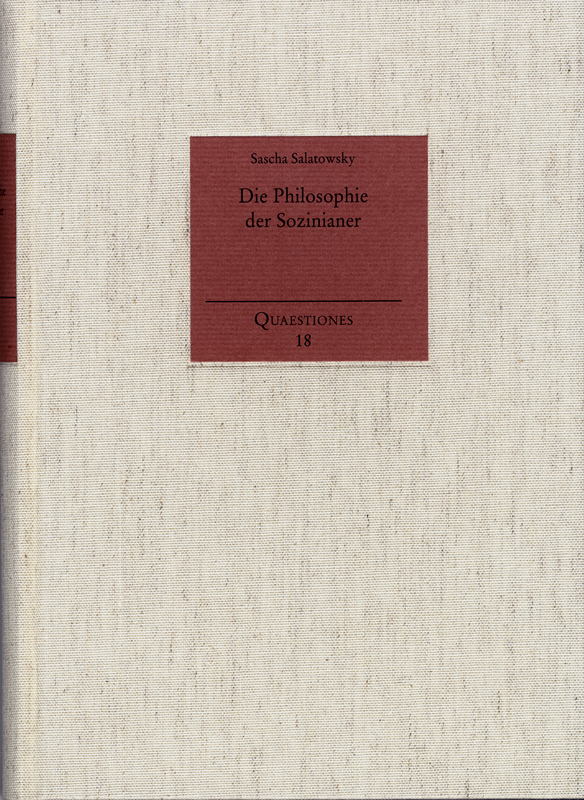 In the first part, the Socinian concept of philosophy is developed. John Crell and Joachim Stegmann are the main characters, particularly how they changed the perception of how faith and reason is related. The second part describes the alteration of the Socinian concepts of matter and soul. The focus here is on Christopher Stegmann, who through his Metaphysics turned Socinian theology into a radical materialism.